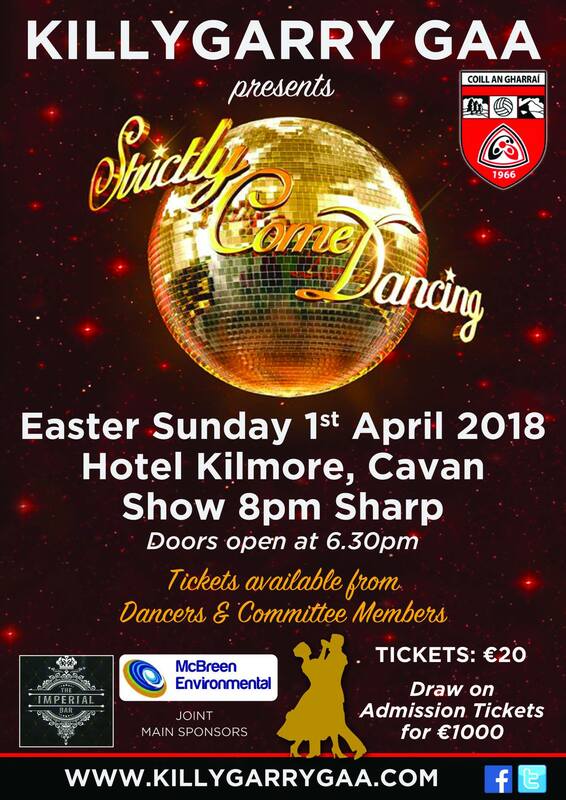 We are pleased to announce that Killygarry GAA will be putting on our first Strictly Come Dancing Night in Hotel Kilmore, Cavan on Easter Sunday 1st April 2018. Don’t miss out on a great night of fun and entertainment. Tickets are now on sale and will be available to collect from any of our dancers or committee members. We would appreciate if everyone can try and support our event as best they can to help this important fundraiser for our club. Thanks to our dancers and sponsors who have come on board already. Special word of thanks to our joint main sponsors The Imperial Bar Cavan and McBreen Environmental.